At 8am leave Moshi for Umbwe Gate where you will meet our porters, guides, and cooks who will spend the next six days trekking with you to Uhuru Peak, the roof of Africa. After arriving, wait at the gate while we register your climb and the porters and guides make final preparations. Your first day’s destination is Cave Bivouac Camp, approximately 6 hours from the gate. The trail is steep and can be slippery in some places.Hike through the moss-covered trees of Kilimanjaro’s cloud forest. The forest will thin later in the hike and heathers, tall grasses and wildflowers will come into view. Porters and cooks will walk ahead to set up the camp in time for your arrival. Hiking time: 6 hours to the rim, 1 hour to Uhuru, 3 to 4 hours back to Barafu, 4 hours to Mweka Around midnight, begin the final ascent to Uhuru Peak. Hike by the light of your headlamp for the next six hours. The ascent to the crater rim is the most challenging part of the entire trek. The trail is very steep until you reach the crater rim at Stella Point. At Mweka Gate gate you sign your name and details in a register book. This is also where successful climbers receive their summit certificates. 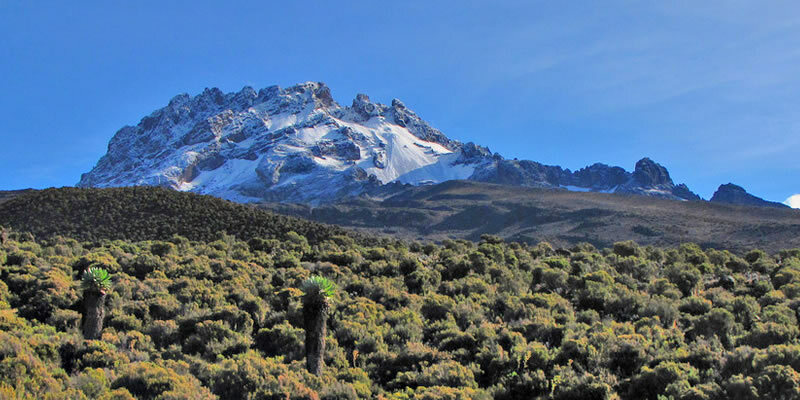 Those climbers who reached Stella Point are issued with green certificates and those who reached Uhuru Peak (5895m), receive Golden certificates. You now drive back to Moshi for a long overdue hot shower, dinner descent bed and celebrations.